The impact of At the Death House Door is highlighted by two very different events this week. A compelling profile of Rev. 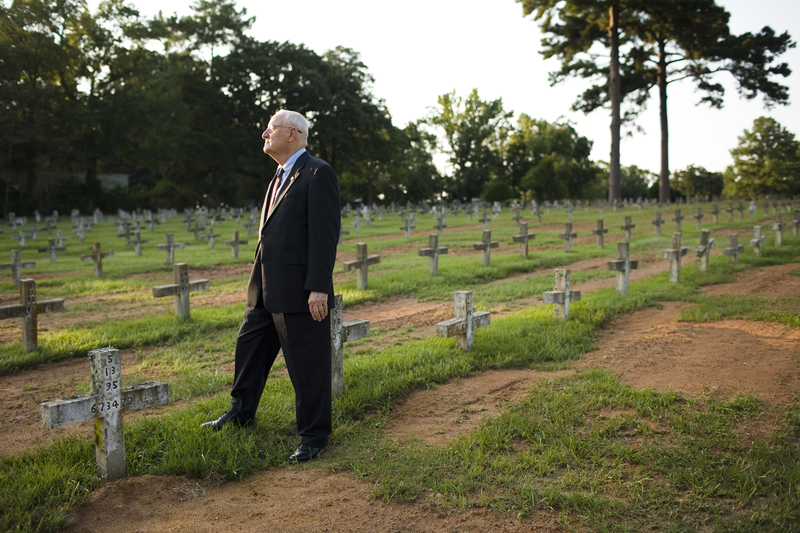 Carroll Pickett, former Prison Chaplain of the death house at "Walls" Prisoner in Huntsville, Texas, who presided over 95 executions, Peter Gilbert and Steve James' Kartemquin film for IFC has changed many people's thinking over the merits of the death penalty since it's 2008 release. This Friday in Charlotte, North Carolina, the film will be screened and discussed as part of an event designed to defend the 2009 North Carolina Racial Justice Act, due for a repeal vote in the N.C. Senate. A panel discussion will follow with Darryl Hunt, who spent nearly 19 years in prison for a crime he did not commit. The Racial Justice Act allows defendants to offer statistics to show that race played a key factor in putting a disproportionate number of people from a racial group on death row or on trial for their lives. Groups organizing the event include: State Rep. Rodney Moore (D), Democracy North Carolina; Justice Policy Center; Charlotte Mecklenburg NAACP; the Darryl Hunt Project for Freedom and Justice; Shiloh Institutional Baptist Church; Charlotte Health Care Coalition; Charlotte Community Justice Coalition; and the Ferguson, Stein, Chambers, Gresham & Sumter law firm. Get more information. Featured in At the Death House Door is an exhibit of photographs of executed offenders and their victims created by Barbara Sloan, titled "Last Statement." On show at the Texas Prison Museum in Huntsville, Texas since opening in 2007, the latest installment of the 5-year project opens tonight in Huntsville, with twelve new photographs, and runs throughout the year. “I think it’s deepened their thought process about the whole issue of crime and punishment,” said Sloan of the many visitors who have seen the exhibit, due in part to the film. Get more information. At The Death House Door is available on DVD, iTunes, Netflix.